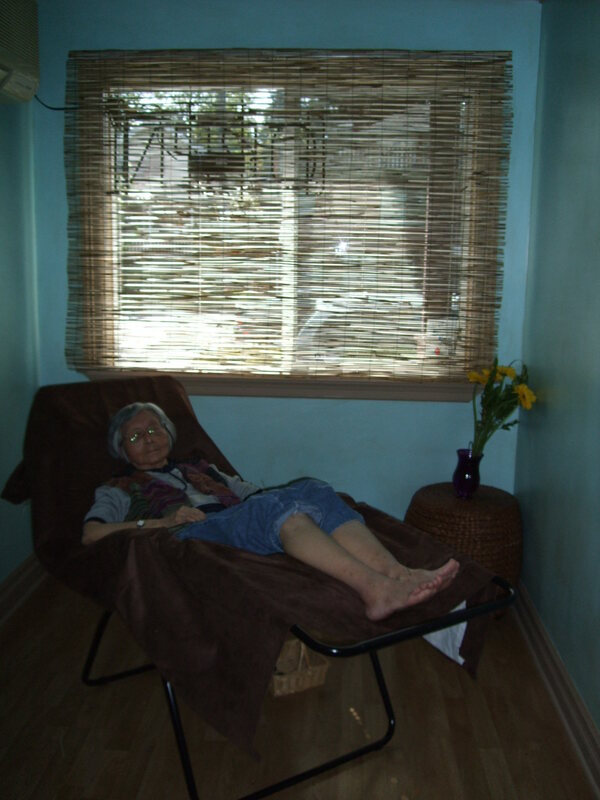 Here our some photos of our community treatment rooms. 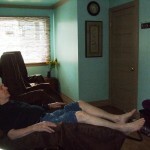 There are 5 very comfortable zero gravity recliners in the main level blue community room. 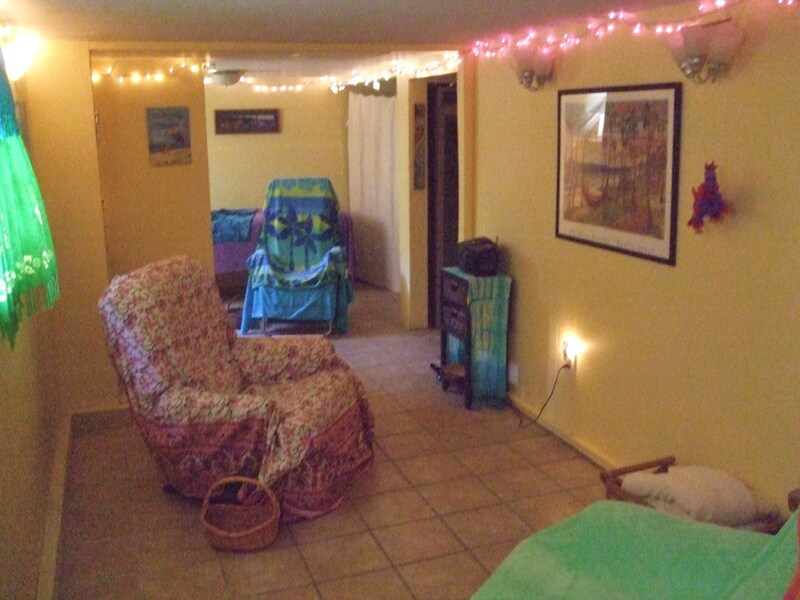 Our lower level community treatment room, called the Beach House, is sunny yellow with 2 cushy La-z-boy style recliners and 1-2 zero gravity recliners. 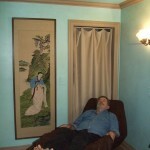 Main level blue room has soothing blue sky and clouds on ceiling. 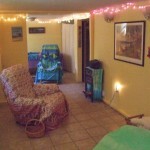 Lower level “Beach House” has twinkly star lights and a tropical beach theme decor. 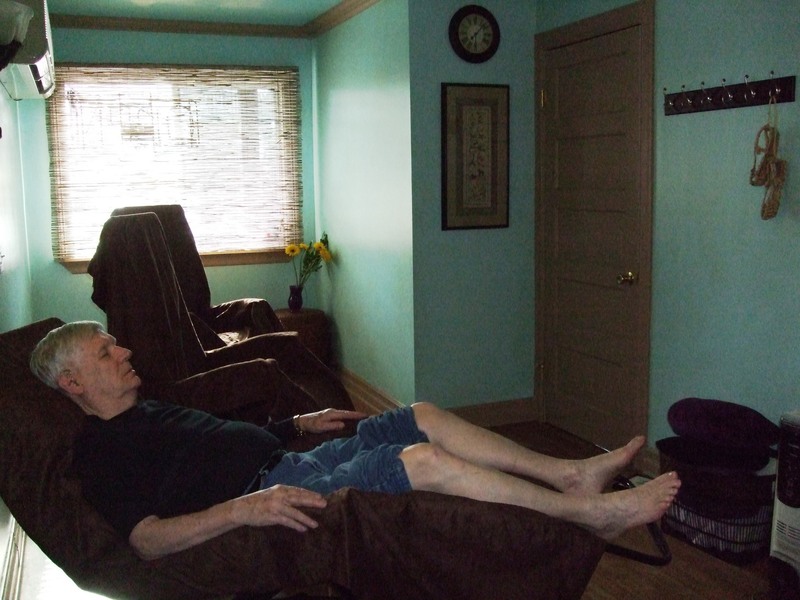 Our waiting room includes a Homedics electric massaging chair to keep you comfortable while you wait. 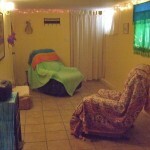 Note: Private Acupuncture takes place on the treatment table in the “Beach House” outside of Community Acupuncture hours. 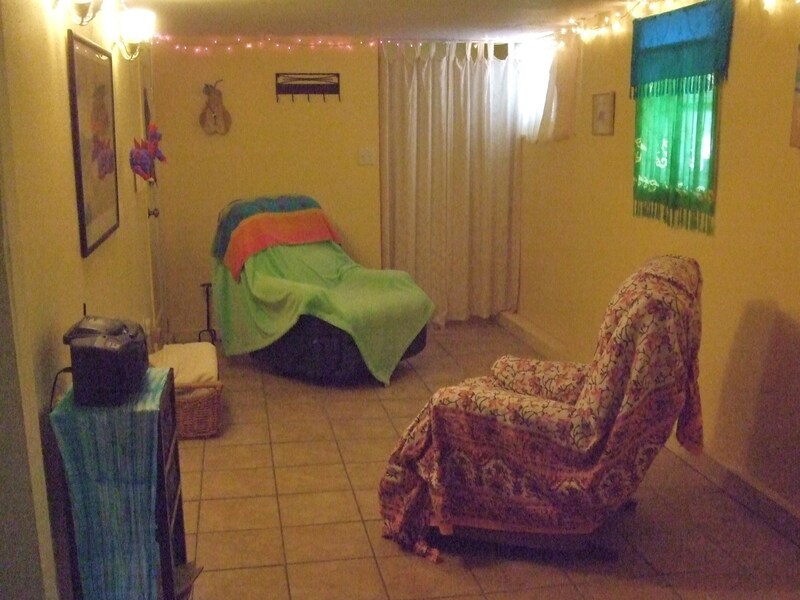 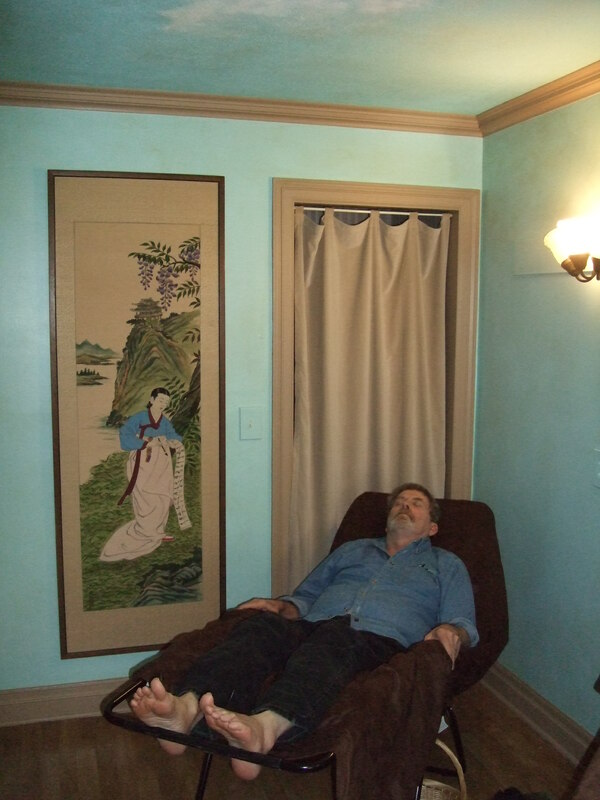 Past Life Regression sessions take place in the Beach House recliners when the clinic is closed to acupuncture. 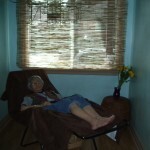 Click on any pic below for enlarged view.